East FiftyFive Condos is a new condo project coming soon to the lower east side of Toronto's downtown core (located at 53-55 Ontario St). Lamb Development and Hyde Park Homes are the developers if this project, which is scheduled to launch this summer. East FiftyFive will be 25 storeys, and will have 276 spectacular modern units. Pricing will be starting at $259,900. This development is in close proximity to St. Lawrence Market, Corktown and the Distillery District. It's also a short distance to the Eaton Centre, and has quick access to both the Don Valley and Gardiner Expressways. East FiftyFive is conveniently located with a 98 walk score, and a 100 transit score. 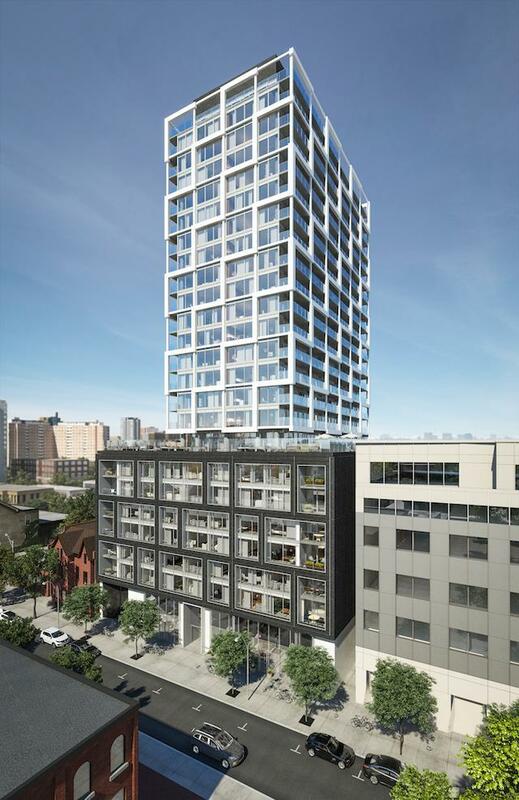 East FiftyFive will be designed by architectsAlliance, famous in Toronto for their spectacular modern designs.